This reading group guide for Team of Rivals includes an introduction, discussion questions, ideas for enhancing your book club, and a Q&A with author Doris Kearns Goodwin. The suggested questions are intended to help your reading group find new and interesting angles and topics for your discussion. We hope that these ideas will enrich your conversation and increase your enjoyment of the book. Team of Rivals is a biographical portrait of President Abraham Lincoln and the men who served with him in his cabinet from 1861 to 1865. Three of his cabinet members, Secretary of State William H. Seward, Attorney General Edward Bates, and Secretary of the Treasury Salmon P. Chase, had previously run against Lincoln in the 1860 presidential election. 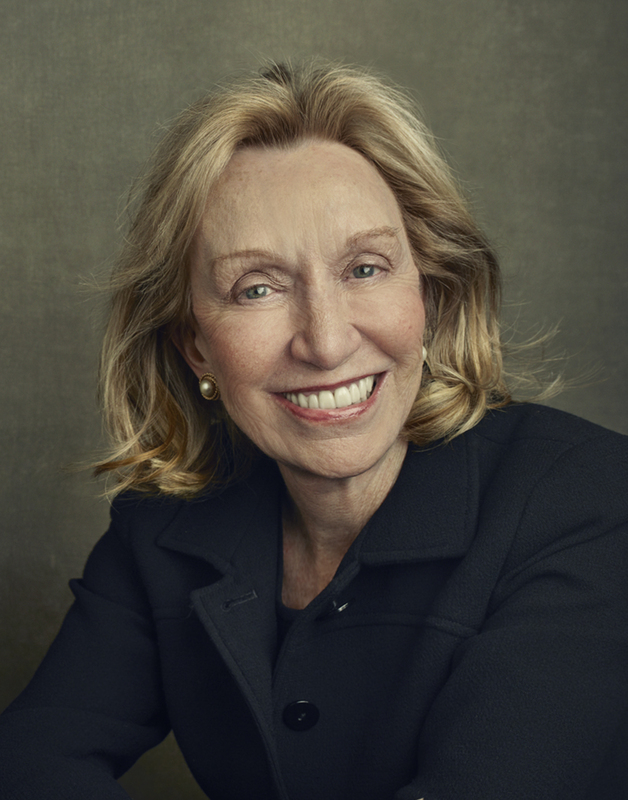 Doris Kearns Goodwin’s Team of Rivals focuses on Lincoln’s mostly successful attempts to reconcile conflicting personalities and political factions on the path to the abolition of slavery and victory in the Civil War. 1. Letters and diaries provided the greatest resource for Doris Kearns Goodwin in recreating the emotional lives of Lincoln and his cabinet. What will historians 200 years from now use to recreate our inner lives? 2. What are the leadership lessons that our new president can learn from a study of Lincoln’s emotional intelligence and political skills? 3. How was Abraham Lincoln able to win the Republican nomination in 1860 over his three chief rivals–Seward, Chase, and Bates–all of whom were more experienced, better educated and better known? 4. The night before his election as president, Lincoln made the decision to put each of these three rivals into his cabinet. What led him to this decision? What does it say about his temperament? 5. Lincoln has often been portrayed as suffering from depression all his life. Yet, Goodwin suggests that while he had a melancholy temperament, he developed constructive resources to combat his spells of sorrow. By the time he reached the presidency, Lincoln was the one who could sustain everyone else’s spirits. What were the means he used to shake off his sorrow? 6. How different would the course of the War been if Seward had won the nomination and the presidency? 7. President Barack Obama has said he would like to follow Lincoln’s example and surround himself with rivals and people who can question him and argue with him. What are the factors in our modern media and political culture that make it more difficult for a president to create and maintain a true team of rivals? 8. How did Lincoln stay connected with ordinary people during his presidency? 9. How and why did Seward’s attitude toward Lincoln shift? 10. What role did Lincoln’s sense of humor play? Where did he develop his storytelling ability? What are a few of the most memorable stories he liked to tell? 11. How did Lincoln’s thinking about slavery evolve over time? What led him to issue his Emancipation Proclamation? How would he answer complaints that the Proclamation did not free the slaves in the border states? How did Seward contribute to the timing of the Proclamation? 12. How would you characterize the complex relationship between Mary and Abraham Lincoln? When they first met they seemed well suited, yet their relationship deteriorated over time. To what extent did each partner contribute to their troubles; what role did external events play? 13. What role did Lincoln’s debates with Stephen Douglas play in his rise to prominence? How would you describe Lincoln’s attitudes toward the prospect of black equality as revealed in the debates? Why did Lincoln favor the idea of encouraging blacks to emigrate back to Africa? 14. Why did Lincoln put up with Chase for so long, knowing that he was maneuvering against him to win the nomination in 1864? What finally undid Chase? Why did Lincoln appoint him Chief Justice? 15. How would you describe the change in Stanton’s attitudes toward Lincoln from the time they first met as lawyers to the end? How did their opposing styles lead to positive results in the cabinet? 16. What is the picture that emerges of George McClellan? Why did Lincoln not fire him earlier? Compare and contrast McClellan’s style with that of General Grant. 17. Lincoln took great pride in the fact that 9 out of 10 soldiers voted for his reelection, even knowing that a vote for him meant lengthening the War since McClellan was promising a peace compromise. How did he develop such a rapport with the soldiers? 18. How did the women in the story affect the lives and careers of the men surrounding Lincoln–Frances Seward, Kate Chase, and Julia Bates? 19. How would you describe the complex relationship between Lincoln and Frederick Douglass? 20. How might reconstruction have been handled differently if Lincoln had not been killed? 21. Do you agree with Leo Tolstoy’s conclusion that Lincoln will live as long as the world lives? 2. Visit the author’s website, DorisKearnsGoodwin.com and “Like” Doris Kearns Goodwin on Facebook at Doris-Kearns-Goodwin, to learn more, read her comments and view photos. 3. Read one of Doris Kearns Goodwin’s previous bestselling titles such as No Ordinary Time: Franklin and Eleanor Roosevelt: The Home Front in World War II, for which she won the Pulitzer Prize for History for her compelling chronicle of President Franklin Roosevelt. This masterfully written book recounts the fascinating period when modern American was created. How is it similar to Team of Rivals? How is it different? A: While writing No Ordinary Time, I had so loved living with Franklin and Eleanor Roosevelt during World War II that when I wanted to find an equally large subject in an equally dramatic era, Abraham Lincoln was a natural choice. Q: Please describe the evolution of this project. A: I thought at first I would focus on Abraham Lincoln and Mary as I did on Franklin and Eleanor, but I found that during the war Lincoln was married more to the colleagues in his cabinet in terms of time he spent with them and the emotion shared than he was to Mary. Q: Lincoln is one of the most written about figures in this country’s history, let alone the history of the presidency. What sets this biography apart from all the others that have come before it? A: This book places him in the center of his extraordinary team of rivals, each of whom thought they should have been president instead of Lincoln when his term began. But by the end, he had mastered them all. Q: What’s new here that we don’t know about Lincoln? A: We’ve always known him as the great emancipator, a great statesman and a moral giant. This book focuses on his brilliance as a politician. Q. What is it about Lincoln that people are so drawn to today? A: People feel a deeper emotional attachment to Lincoln than they do perhaps to any other president. In part, it is his life story, the trail of losses and failures before he reached the presidency. And, of course, the soaring words that have been memorized by generations of students. Q: Why did you choose to couple Lincoln’s story with the stories of his rivals? A: As an historian, I am always interested in the relationships between people, in their conflicts, emotions, jealousies, angers, and pride. Q: In the past, you’ve written about leaders you knew, such as Lyndon Johnson, and interviewed scores of intimates of the Kennedy family and many who knew FDR. How do you go about researching a book when there’s no one to interview? A: I thought at first that it would be a disadvantage not to be able to interview anyone who actually knew Lincoln or his colleagues. I worried too because their pictures were often off-putting–their wigs and their beards and their non-smiling faces. But as it turned out, this whole generation kept voluminous diaries and wrote thousands of intimate letters that more than compensated for the lack of direct contact. Q: In researching this book, in what ways did your comparative approach lead you to source material not normally used? A. By widening the lens to include Lincoln’s colleagues and their families, all of whom were great letter writers, I found a great deal of material on Lincoln that had not been generally used in Lincoln biographies, allowing the reader to see him in relaxed sessions, late at night, talking of many things besides the war. Q: How did your comparative approach shed new light on Lincoln? A: Lincoln’s barren childhood, his lack of schooling, his intense relationships with male friends, his complicated marriage, the nature of his ambition and his ruminations about death can all be analyzed more clearly when he is placed side by side with his three contemporaries. Q: As you point out in the book’s introduction, the collective and comparative approach also brought to life the diverse and extraordinary women who helped shape the events of this crucial time. Who exactly are you talking about and which of them stands out most in your estimation? A: Frances Seward, wife of the Secretary of State was a brilliant woman frustrated by the lack of opportunities for women. Chase’s daughter, Kate, considered the most beautiful and fascinating young woman of her age, sacrificed her happiness to serve her father’s relentless quest for the presidency. Bates’ wife Julia created such a happy home for her family—she had seventeen children—that Bates turned down many chances for political advancement. Mary Lincoln combined elements of all these women. She was highly intelligent and very ambitious, well-educated and feisty—in many ways a fit partner for her husband. But life served her a series of terrible blows from which she was unable to recover. Q: What surprised you most as you conducted your research? A: The vitality of the man, the magnetism of his personality, and his life-affirming sense of humor was much greater than I had realized. His face seemed so sorrowful in all his pictures that I was delighted to find that he possessed a marvelous sense of humor, a great ability to tell stories. I did not imagine how much fun it would be to live with him day by day. Indeed, he was the one time and again who sustained the spirits of his colleagues during the darkest days of the war. Q: How would you summarize Lincoln’s political genius? A: His political genius was rooted in his remarkable array of emotional strengths, which enabled him to form friendships with rivals who had previously disdained him, to put past grudges aside, to assume responsibility for the failure of subordinates, to share credit with ease and to learn from mistakes. Q. How would Lincoln do in today’s time? A: I have to believe that even in today’s political system Lincoln would survive. Perhaps the beard would have to go (and indeed he looked much sexier without it), but his sense of humor would rival that of (late night television hosts) Stephen Colbert and Jon Stewart, his debating skills would be unparalleled, his communication abilities beyond match. The hat would have to go too of course, which might present problems for him since he kept his notes for speeches in the inside brim! Q: In the introduction you allude to the age-old battle among historians as to whether individuals can control events or are dictated by them. A. His success was both a product of his times and his unique qualities. As a young man he had worried that the field of glory had already been harvested by the Founding Fathers; that nothing was left for his generation but modest ambitions. But in the 1850s the rising intensity of the slavery issue that led to the formation of the Republican Party and eventually to secession and war created the stage that allowed Lincoln to exhibit his greatness. Q: When you were in the very early stages of working on Team of Rivals, the filmmaker Steven Spielberg expressed interest in making a movie about Lincoln. How did it come about that his movie was based in part on your book? A: I first met Steven Spielberg at a historians’ luncheon in New York City when he was making the documentary The Unfinished Journey. I sent him some thoughts on it and he invited me to come see him. It was then I told him about my research for this book and we shook hands in agreement that he would get the first look at it. I was only in the early stages of writing then, but he optioned it and eventually brought Tony Kushner on to write the script based upon it. Q. As it relates to your book, what is at the center of this film? 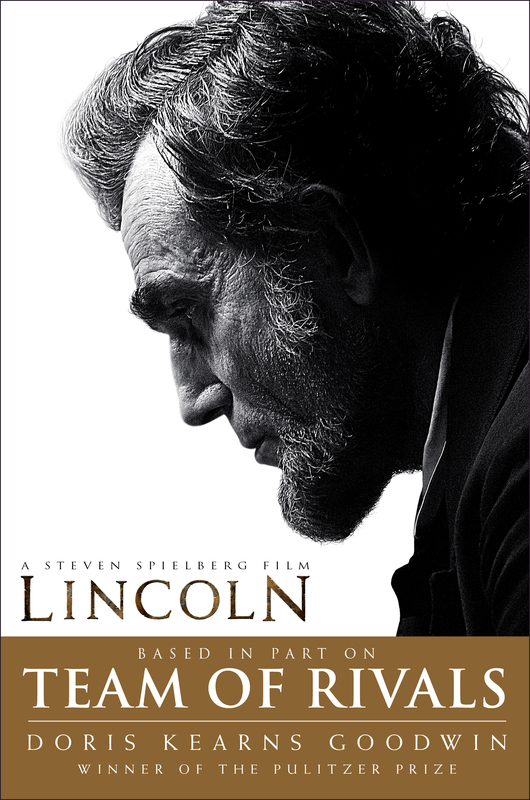 A. Lincoln’s political genius is the focus of the movie–a welcome story in an age rightly cynical of politicians. Because Team of Rivals is a 900-plus-page book, the only way to make the story come alive in a feature film was to make a story within a story. Steven Spielberg and Tony Kushner decided to focus on Lincoln’s tumultuous final four months in office. Q. How did you feel when you first saw the Academy Award-winning actor Daniel Day-Lewis bring Lincoln to life on the big screen? A: It was thrilling. Even now I miss working on the book and thinking about him, which is why it is so exciting to see him come alive again in this movie. Daniel Day-Lewis perfectly and uncannily embodies Lincoln–from the way he looks to his mannerisms, voice, speech, and conviction. A: I do not think so. The evidence usually brought forward is that he slept in the same bed with male friends and wrote personal letters to them. Yet, in Lincoln’s day it was not at all unusual for men to sleep together in overcrowded academies or boarding houses. When Lincoln was on the law circuit, the only person who got his own bed was the Judge who weighed 300 pounds so that no one else could fit in the bed. Moreover, it was common in that era for men to write flowery letters to one another as seen in Stanton’s loving letters to Chase and Tracy’s to Seward. Q. What would you hope readers would get from this book?